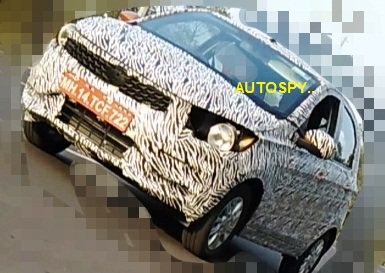 Update: Rushlane reader Aarav Pooda has shared a new spy shot of the facelifted Tata Tiago with what looks like a Tata Altroz-inspired headlamp design. 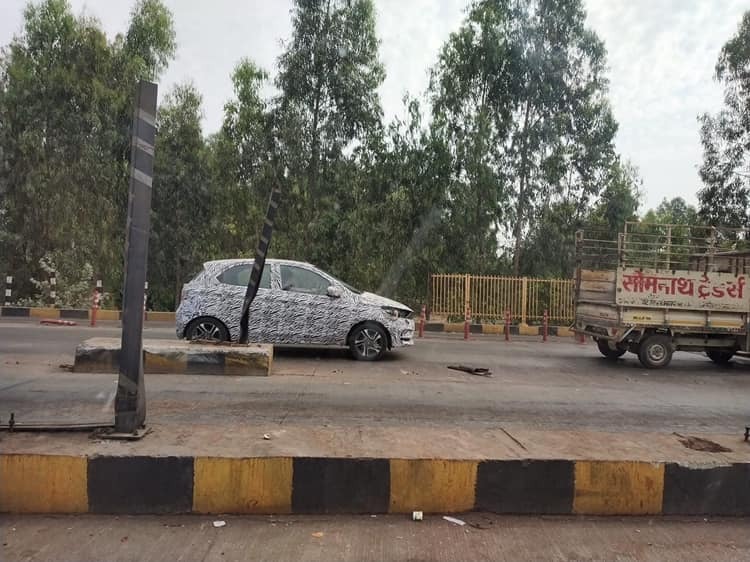 Avid car spotter Rahul Sawarmale has shared an exclusive spy shot of the new Tata Tiago with IAB. The facelifted model was spotted on test in Pune. 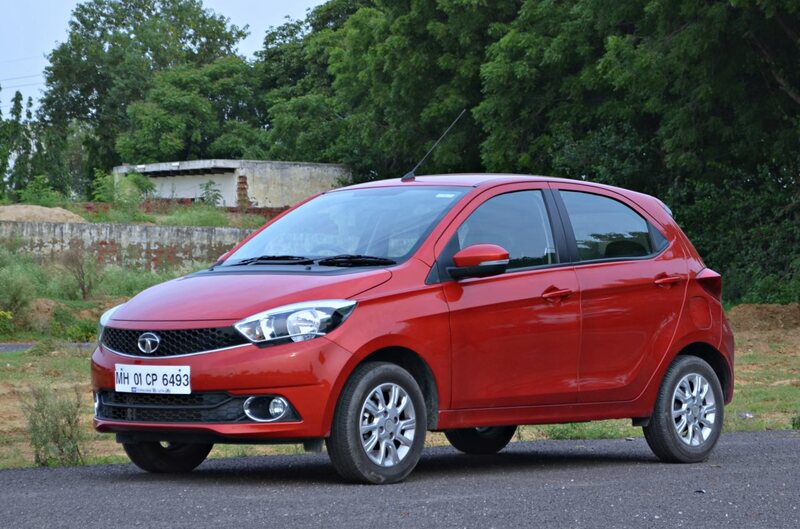 The facelifted Tata Tiago has a new pattern for the upper grille and a new bumper design that looks sharper. The Tata Tiago was launched in April 2016 and it was the first model to embody the IMPACT design language. A mid-cycle update is now in the works for this car, which was designed with inputs from studios in Pune, UK and Italy. The facelifted model has a new pattern for the upper grille and a new bumper design that looks sharper. Other exterior changes could include tweaked headlamps and tail lamps and new alloy wheels. Inside, the Tata Tiago may receive new upholstery and trim and enhancements to the infotainment system with the mid-life update. As for the mechanical changes, the 1.2-litre Revotron naturally aspirated three-cylinder petrol engine will get an upgrade to comply with the BSVI emission norms. The current, BSIV version produces 85 PS at 6,000 rpm and 114 Nm of torque at 3,500 rpm. With reports saying that diesel engines will become too expensive for entry-level cars because of the BSVI upgrade, there’s no certainty on the continuation of the 1.05-litre Revotorq engine (70 PS/140 Nm). The transmission choices would remain unchanged: 5-speed manual and 5-speed automated manual. The Tata Tiago's 1.2-litre Revotron petrol engine will get the BSVI upgrade, while the future of the 1.05-litre Revotorq diesel engine looks uncertain. Following the Harrier, Tata Motors plans to launch the production version of the 45X concept next. The new Tiago will probably arrive at the end of the year or early next year. The company hasn’t revealed its launch timeline.